If you ask me, the necessity for accurate and photorealistic facsimiles of real people are getting in the way of the fun in modern sports games. I remember the days of Pro Wrestling on the NES and Sensible Soccer when the primary concern in sports game development was making a great gameplay system rather than crossing the uncanny valley in creating life-accurate realisations of actual celebrities. At some point, that changed, and both sports game developers and their fans start placing too much importance on licensing and rosters. I understand the genre – and the expectations thereof – have changed, and this is very much in line with what people want from it now. But sometimes I still wonder what a WWE game not beholden to licensing would look like in 2018. Sadly, WWE 2K19 is not that game. Last year’s WWE 2K18 saw the series embrace the current sports game trend of having more fleshed out story campaigns, with the introduction of a ‘MyCareer’ mode where you could explore a bit more, interact with people backstage, and be overall more involved as you saw your wrestler go through a bit of a journey through their career. This year’s MyCareer has been redesigned even more, focusing on a linear story with a fully voiced cast of characters and some decent writing. It’s a neat little narrative but it’s not exactly top-of-the-line; especially compared to the story modes in current FIFA and Madden games, which are something even a non-sports fan like me got kind of engrossed in. On that level, MyCareer’s story just didn’t grab me. It does, however, stay pleasantly true to the theatricality that makes up for much of the appeal of pro wrestling. There’s a moment involving Kurt Angle that’s actually kind of moving. More than anything, I’m glad MyCareer’s progression loop is devoid of the kind of shenanigans that currently inform the rest of the sports game landscape. It comes with a skill tree that you can mess around with, instead of drowning in loot boxes to unlock moves to use within the story. Moves and entrances still come with loot boxes but now you can also just straight up purchase them using the in-game currency. The currency itself is still drip-fed to you at an excruciatingly slow pace, but at least it won’t surreptitiously burn holes in your wallet while at it, so I’ll take whatever small victories I can get. Universe mode has implemented a few quality-of-life tweaks based on fan feedback, but still glaringly lacks obvious options like being able to delete promos (what gives, 2K?) It also continues to be as buggy as you remember this series to be. In terms of gameplay, 2K19 does an okay job of giving each wrestler a unique feel. The overall pace of matches is definitely faster than the previous games, and the wrestlers’ movesets are all here and accounted for. Game feel is a bit all over place, with satisfyingly hefty punches landing with exactly the kind of wright you expect; but the focus on ‘realism’ means matches still end up going on forever, and it’s unusually cumbersome to position your character where you want them to make them do what you want them to do. There is a very gamey ‘Payback’ gauge that fills up as you take damage and, once full, can be used to do… nothing particularly interesting. You can use it to make comeback moves when your back’s against a wall, but it’s fairly pointless outside of that very specific utility. And of course, since this is a 2K Sports game, you bet there are some thoroughly egregious DLC practices so let’s talk about that. Upcoming NXT talents like Ricochet and Candice LaRae are locked behind a paywall. The ‘accelerator’ feature that allows you to tweak wrestler stats and attributes is also behind a paywall. Yes, that’s right. Being able to tweak player attributes in a sports game is locked behind a paywall. This is especially appalling considering the fact that other sports games have long since made this a standard feature. And then there’s the matter of live updates. There aren’t any. Outside of DLC offerings, an update to the WWE roster in the year that follows this game’s release won’t make it in until next year’s game. Any changes to a wrestler’s appearance or introduction of new costumes, moves, or entrances in the real world that happen next month will only be seen in-game next year, which is a crying shame. For all its emphasis on accuracy and currency, WWE 2K18 throws verisimilitude out the window when it can’t lock it behind a paywall. In any other genre, this would be a minor sticking point, but when a series has gone so far out of its way to replicate something life-like, this becomes a real problem. 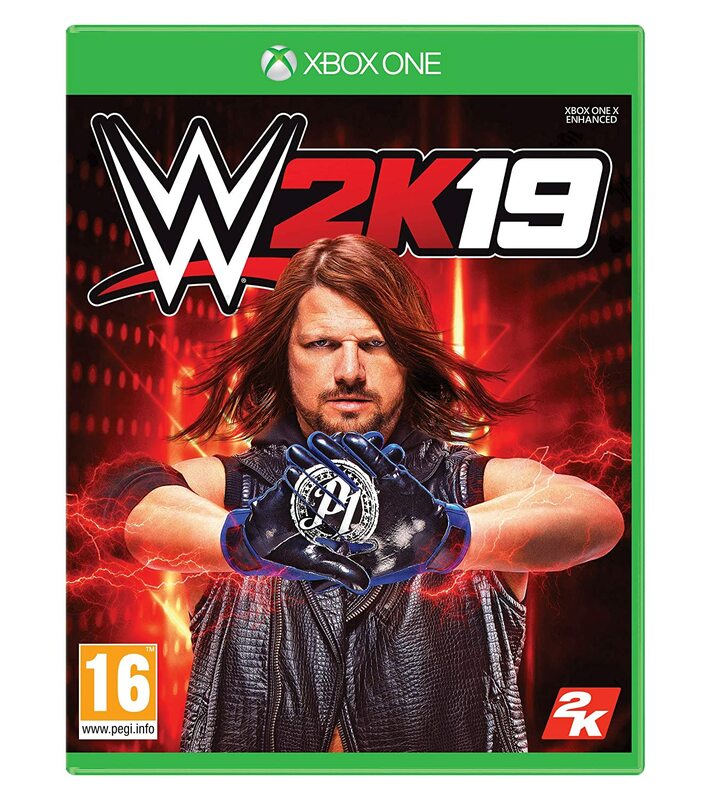 WWE 2K18 was reviewed using an Xbox One copy of the game provided by 2K Games. The game is also available on PlayStation 4 and PC via digital and retail store releases. We don’t discuss review scores with publishers or developers prior to the review being published (click here for more information about our review policy). If you like the WWE 2K series, you probably don’t need this review anyway. With everything said and done, WWE 2K18 is still a competent recreation of modern pro wrestling that can provide a fair bit of fun for some time. The Community Creations servers are already filled with surprisingly life-life player created versions of the missing wrestlers, not that that should be an excuse to axe them from the official offering. Now, can someone port Pro Wrestling ‘86 to the Switch, please?